The Uncanny Valley theory argues that the more realistic robots become, the more people will dislike them. Technology is continuing to expand at an exponential rate, and the lines between human and robot are quickly becoming blurred. Robots are now capable of humanoid movement, appearance, and even consciousness to a certain extent. There seems to be no end to how robots can be programmed, what they can be taught to do, and how realistic they can look. This list compiles examples of some of the newest and most state-of-the-art robots and androids out there. While robots have the ability to make our lives easier, they also have the ability to make our lives much safer. 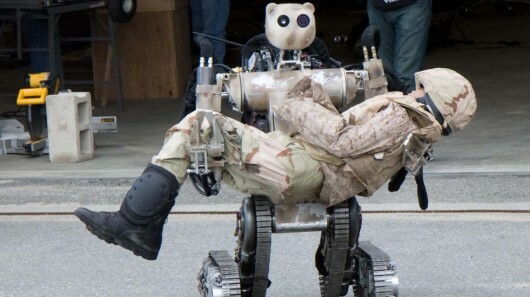 A robot developed by Vecna Technologies, known as the Battlefield Extraction-Assist Robot (BEAR), is being used as a rescue android in dangerous situations. Its capabilities include being able to carry heavy objects over long and rough distances (including stairs), surprising dexterity and balance, and explosion- and fire-resistant treads and batteries. BEAR can be easily controlled by a remote or glove and could be used to enter dangerous situations and rescue injured soldiers without risking anyone else’s life. BEAR’s massive steel frame is controlled by hydraulics capable of lifting up to 236 kilograms (520 lbs) and it can sense its environment through infrared, night vision, and optical cameras. Plus, while BEAR definitely has the ability to do heavy lifting, it also has the dexterity to hold something as delicate as an egg without breaking it. It can balance perfectly while carrying heavy objects that would usually topple other robots of its kind. BEAR has come a long way since its original designs, and now has the ability to obey higher-level commands from its operators. It’s even fitted with a friendly humanoid face to put the wounded at ease. Developers are excited to continue improving BEAR’s capabilities to help save citizens and soldiers alike in dangerous situations. The Breakthrough Intelligence via Neural Architecture, or BINA48, has quickly achieved the title of the most shockingly realistic android ever made. BINA48 was created and programmed by David Hanson of Terasem Movement and modeled after the co-founder of Terasem’s wife, Bina Rothblatt. While everyone can agree that BINA48 has an uncanny physical resemblance to an actual person, what makes the robot so groundbreaking is that she is actually made up of the real Bina’s thought, memories, emotions, and feelings. The project took over 100 hours of compiling Bina’s thoughts, to be downloaded into the android. BINA48 now has the ability to hold conversations on a number of intellectual topics using the actual Bina’s mannerisms. BINA48 also has the ability to continually learn, and her vocabulary and knowledge continue to grow each day that she interacts with other humans. While she currently isn’t fitted with a body, her head alone has the ability to express over 64 feelings based on the information she gives and receives. BINA48’s abilities are quite unsettling to many, though the creators hope to continue to build and improve her technological consciousness. Not only can BINA48 make choices on her own based on her past memories and tastes, she is also learning to reinforce her decisions with data and reasons. When you think of an android, emotional capacity probably isn’t the first thing that springs to mind. 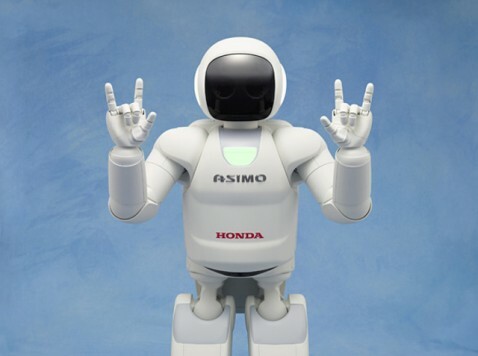 However, the NAO robot boasts the ability to learn, recognize, and interact with humans—and develop emotions as well. NAO was developed by Aldebaran Robotics and stands a mere 58 centimeters (23 in) tall. What makes NAO so versatile is how programmable it is. 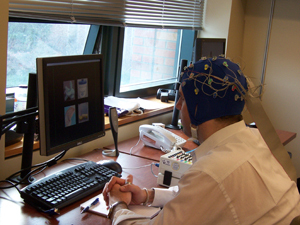 The University of Hertfordshire is using this ability to help it learn emotions. By building on NAO’s ability to recognize and learn facial and body language, the new NAO will form an attachment to those it sees most. From there, NAO will be able to learn emotions much in the same way young children do—through observation. Rather than just preprogramming anger, fear, sadness, excitement, pride, and happiness into the robot, NAO will actually learn when and how to use these emotions through observation of teachers and trial-and-error. In addition, it has the ability to learn several other skills, including writing and different languages. NAO has been used as an educator and for visiting kids. NAO also gives comedy shows, grooms cats, helps with research, plays soccer, and works at hospitals. Researchers are excited to see what the future holds for this little robot. So far, the androids on this list have been pretty clearly robotic. But the HRP-4C (Miim) takes things to a whole new level with its uncanny resemblance to a real human. 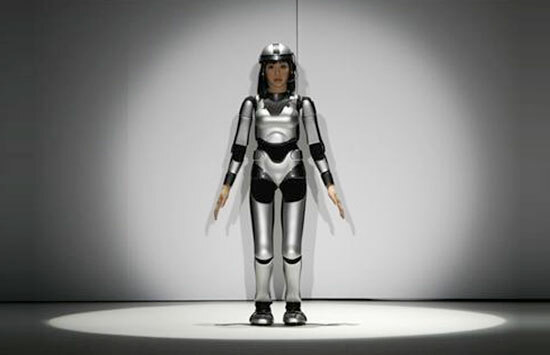 Another piece of work from the Japanese company AIST, Miim was fashioned after an average young Japanese female. She stands at 157 centimeters (5.2 ft) and 43 kilograms (95 lbs) with the ability to recognize faces, speech, and ambient noise. What makes her especially amazing is her ability to mimic human facial expressions and movements to a high degree of accuracy. She’s been called “super-realistic” and even has the ability to dance. When she was uncovered on the catwalk in 2009, photographers snapped multiple pictures of her striking poses, smiling, and even pouting. Designers at AIST explain that the reason they chose to make her face (but not her body) hyper-realistic is that they thought it would just be too creepy. PARO is actually Guinness-certified as the world’s most therapeutic robot for the positive social and psychological effect it has on patients. It not only serves to reduce stress, but also increases interaction between patients and their caregivers. The robot has a number of applications in both hospitals and nursing homes, giving patients the love of a pet with virtually none of the work. 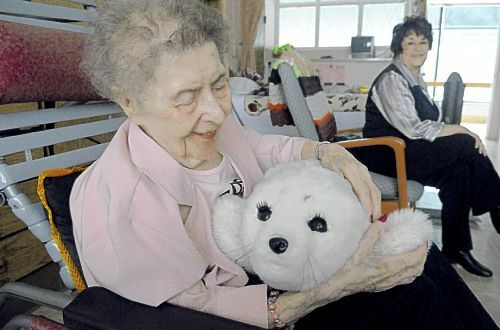 PARO can express emotions to its caregivers as well and remains the leading “robopet” for therapy. 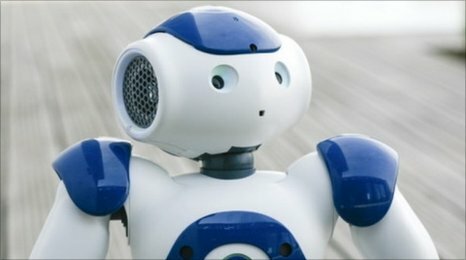 While most scientists stay away from creating robots that are too like humans due to the Uncanny Valley theory, scientists at the University of Pisa are actively trying to prove that prediction wrong. 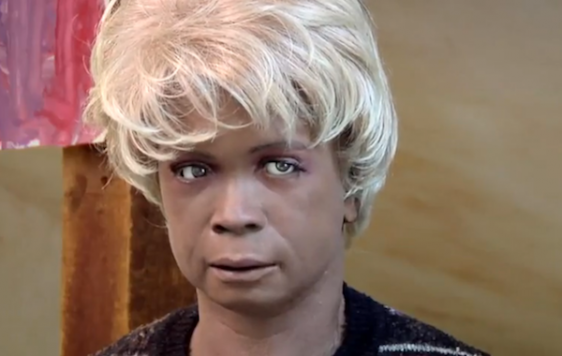 They’ve created robot named FACE, considered groundbreaking for its realistic human expressions. Most robots with the ability to mimic expressions are only given a set of five to six emotions. FACE can mimic these same emotions (such as happiness, sadness, disgust, amazement, indifference, and fear), but it also has the ability to express the emotions between these categories. FACE uses 32 motors located around the face and upper body to produce these humanoid expressions. Researchers hope FACE can be used in several situations, including teaching children with autism to understand mood through facial expressions. While the HRP-4C was fitted with an uncanny humanoid face, the Actroid matches it with an equally realistic body and even more human behaviors. It was first manufactured by Kokoro Company Ltd., who have since created several new and improved versions. Using air-powered actuators placed at several points in her upper body, the Actroid can react accordingly to different kinds of tactile data. For example, if Actroid feels a slap coming, she can quickly move out of the way or retaliate, but will react normally when tapped on the shoulder. She is also designed to express the subtle human-like movements of the head and eyes and even looks like she’s breathing. Actroids can be taught to learn even more human movements, though their actual locomotion abilities are non-existent and they can only be placed in a sitting or standing position with firm supports. In addition to their earlier Actroid model, Repliee Q-1, Kokoro has also created Repliee R-1, an Actroid of a small Japanese girl. Kokoro and a team at Osaka University say that their main goal is to create robots so realistic that people won’t notice they’re even interacting with a robot. So far, Actroids have come very close—some people mistake them for humans for the first few minutes. In addition to this, some people even forget they’re interacting with a robot at all because their movements and reactions are so realistic. A cousin to both Repliee Q-1 and R-1 is known as Geminoid, an android created by and fashioned at Hiroshi Ishiguro. Being able to control a robot with gestures or a controller is one thing, but imagine if you could control an android just using your mind. These mind-control technologies actually exist and are growing in popularity with things like small helicopters. In a key breakthrough, a robot known as Morpheus now has the ability to follow commands given as thoughts. A controller is fitted with a swim cap filled with electrodes, a procedure that is totally non-invasive and boasts a success rate of up to 94 percent (most robots controlled by thought up to this point have required electrodes be surgically embedded into the operator’s skull). Built by Rajesh Rao at the University of Washington, it is hoped that Morpheus will be able to provide companionship, assistance, and rescue to many people. On July 11, DARPA revealed one of the most technologically advanced robots to date. 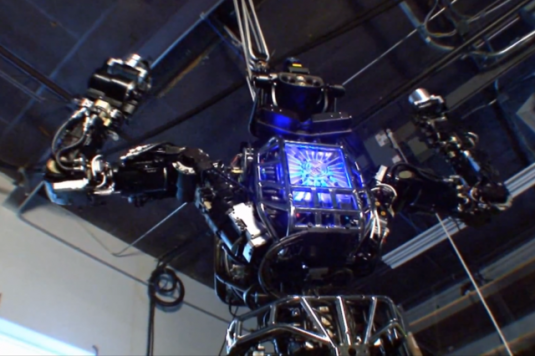 Known as Atlas, the robot stands almost two meters (six feet) tall and weighs about 150 kilograms (330 lbs). Developed by Boston Dynamics, the robot was made to be a humanoid responder for dangerous situations like nuclear meltdowns. It’s set to participate in DARPA’s robot challenge in December as Boston Dynamics continues to make improvements to the software. While Atlas already looks like something straight out of Terminator, things get even creepier when you realize what it’s capable of doing. With its 28 hydraulic joints, arms, legs, head, torso, sensors, and on-board real-time computer, Atlas can not only sense its environment, but can react to it with a dexterity not yet seen in an android robot. It can perform basic functions like walking, grabbing, turning, and giving visual feedback, but it’s also capable of doing things like climbing a ladder, starting and driving a car, and connecting a fire hose to a valve. The robot’s real-time computers and lasers allow for its environment to be sensed and mapped even at long ranges. DARPA uses the robotic challenge to encourage advancements in robotics like Atlas, and they’re confident that it will not only do well in the challenge, but extend its abilities to real-world uses as well. Shelby is an undergraduate at Arizona State University studying psychology and medicinal biochemistry. She is constantly fascinated by the mysteries of the world around her. She hopes to go on to medical school once she graduates to be able to search for and solve these mysteries.